Itasca Community College (ICC) is one of the most searched for colleges in America, according to a recent internet keyword search of basic two and four year colleges. 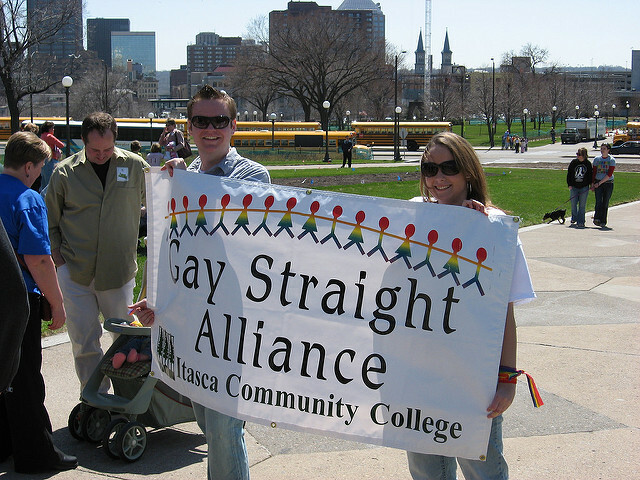 Itasca is a public two year community college, rurally located in Grand Rapids, Minnesota. It is accredited by the North Central Association of Colleges and Schools, and is a member of the Minnesota State Colleges and Universities System. 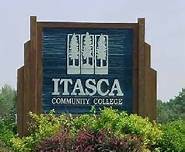 Itasca's school slogan is “The Best Place To Start.” This is not too far from the truth, according to the Washington Monthly, which recently ranked Itasca the 5th “best” community college in America. Itasca has an enrollment of under 2,000 students during any given semester. Roughly two thirds of the student body is enrolled full time. The student-faculty ratio is about 22 to 1.
Notable Itasca alumni include John T. Davies (Minnesota legislator) and Brock Larson (wrestler and mixed martial artist). Scroll down for more facts and frequently asked questions about Itasca. 1. Where is Itasca Community College? The Itasca College campus is located at 1851 US Highway 169 East in Grand Rapids, Minnesota. The college is roughly 200 miles north of Minneapolis, about 100 miles northwest of Duluth, and less than 20 miles east of the Leech Lake Reservation. Distance learning is also offered, so students who enroll can go online and study from the comfort of all their favorite places. 2. What courses and programs are offered at Itasca Community College? Students who are working on their bachelor's degrees can easily transfer credits from courses taken at Itasca. 3. What types of certificates and degrees are available at Itasca Community College? Itasca offers two types of degrees: The Associate degree for students looking to further their educations, and the Certificate or Diploma for skilled trades such as nursing or firefighting. Certificate programs at Itasca are mostly two year programs designed to help students enter the skilled workforce right after graduation. Some certificate programs might also be used as transfer credits to enter a four year college. ICC grants Associate degrees in Applied Science (A.A.S.) for its two year programs. 4. Who should attend Itasca College? Itasca appeals especially to local residents of Grand Rapids, Minnesota, especially those who are trying to save money on their college educations. At Itasca, you can earn an Associate degree, with the possibility of transferring to a four year college after two years at Itasca. It is much cheaper to attend community college for the first two years than it is to enter a university as a freshman. Itasca also has an excellent nursing program. This would be of interest to anyone who wants to become a nurse, or existing nurses looking for more training. Minnesota is, of course, the home of the famed Mayo Clinic. 5. Why attend Itasca Community College? In general, there are many benefits to enrolling at a community college, as opposed to a university. The most compelling benefits of attending any two-year college are affordability and convenience. Itasca has affordability and convenience in spades. Other benefits include greater academic flexibility, a more personalized experience, and reduced stress. Community Colleges are also very easily accessible. If it happens that Itasca College doesn't suit your purposes, other nearby community colleges include Hibbing Community College in Hibbing, Minnesota (about 30 miles northeast of Grand Rapids), Mesabi Range Community and Technical College in Virginia, Minnesota (about 15 miles east of Hibbings), and Leech Lake Tribal College in Cass Lake (a shoreline community on the western border of the Leech Lake Reservation). 6. How much does it cost to attend Itasca Community College? The total estimated cost of tuition and fees for full time enrollment at Itasca College is about $17,210 to live on-campus, and about $19,506 to live off-campus. This cost covers tuition and fees ($5,324), books and supplies ($860), personal expenses ($2,440), and transportation ($1,204 if you live on-campus and $3,088 if you live off-campus), as well as room and board ($7,382 to live on-campus and $7,794 to live off-campus). For part time students, the cost of tuition is roughly $178 per credit for Minnesota residents, and about $217 per credit for non Minnesota residents. For online classes, the rate is about $203 per credit for Minnesota residents, and about $242 per credit for enrollments from out of state. Senior citizens age 62 and older get an amazing discounted rate of about $33 per credit. More than three quarters of students enrolled at Itasca College receive grant money or some sort of scholarship aid. The average monetary award granted to a student attending Itasca College is $4,455. 7. How long does it take to earn a degree or certificate at Itasca Community College? In most cases, it takes about two years of full time study to complete the majority of certificates and degrees that are available at Itasca. However, you also have the option of attending Itasca part time, thereby taking longer to get your degree. Or you can accelerate your program by working overtime, and earn your degree sooner. 8. What is the Itasca Community College campus like? The Itasca College campus features 11 buildings: The Administration Building was the first building constructed when Itasca initially occupied this location in 1967. Other structures built since then include the Liberal Arts Building, the Backes Student Center, the Library Media Center, a child care center, Mullins Hall, Wenger Hall, Dailey Hall, Wilson Hall, Itasca Hall, and Davies Hall (which houses the 200-seat campus theater). Itasca's on-campus services include a bike share program, a fitness center, a learning center, a testing center, a book store, a library, a business office, and residential living quarters, among other practical conveniences. 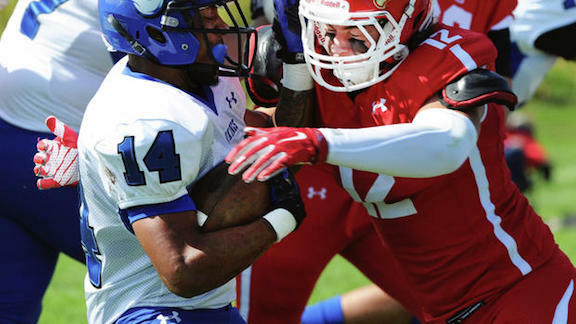 On-campus student activities include various student groups and a wealth of varsity sports, such as baseball, basketball, wrestling, and football. In fact, Itasca College is the home of the moderately famous Itasca Vikings. 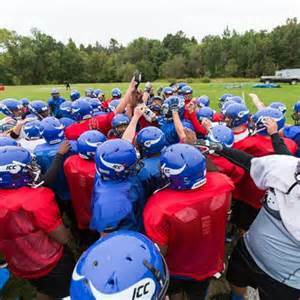 Itasca Community College is a member of the Minnesota College Athletic Conference and the NJCAA. 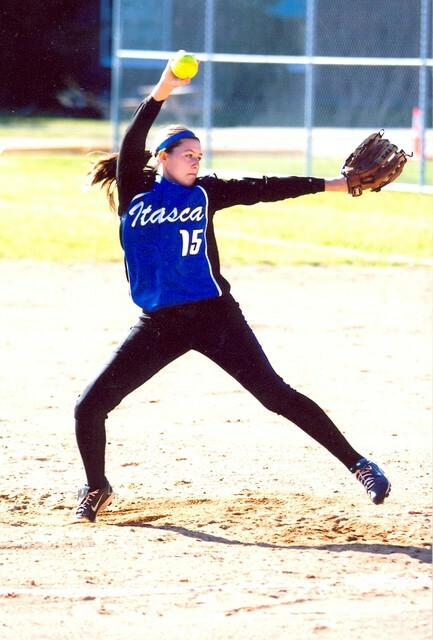 For women, Itasca College also offers softball and volleyball. 9. What is the Itasca Community College neighborhood like? Within walking distance of Itasca College are many sights, attractions, and shopping opportunities, such as a Target store, a supply store, Willow Park, several lakes, the Grand Rapids-Itasca County Airport, and don't miss the Judy Garland Museum. In fact, the entire downtown area of Grand Rapids is just two miles north of the Itasca campus. Also local are several eateries, scattered about the neighborhood. This area of southern Itasca County is known for its many beautiful lakes and forests. 10. Does Itasca Community College have distance learning? 11. What is the contact information for Itasca Community College? To reach Istaca College, you can call them directly at 218-322-2300, or call the school toll free at 800-996-6422.